What makes life worth living? Many people would argue that it is fulfilling experiences. These experiences are characterised by feelings of joy and pleasure, positive relationships and a sense of engagement, meaning and achievement. Tourism is arguably one of the largest self-initiated commercial interventions to promote well being and happiness on the global scale but yet there is absence in the literature on the topic of fulfilling tourist experiences from psychological perspectives. Drawing on insights and theories from the research field of positive psychology (the study of well being), this is the first edited book to evaluate tourist experiences from positive psychology perspectives. The volume addresses the important topic of fulfilment through the lens of the world’s largest social global phenomenon tourism. In doing so, the book refreshes and challenges some aspects of tourist behaviour research. The chapters are grouped under three broad sections which reflect a range of positive psychological outcomes that personal holiday experiences can produce, namely; happiness and humour; meaning and self-actualisation and health and restoration. The book critically explores these fulfilling experiences from interdisciplinary perspectives and includes research studies from wide range of geographical regions. By analysing the contemporary fulfilling tourist experiences the book will provide further understanding of tourist behaviour and experience. 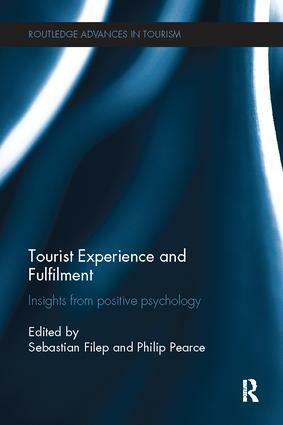 Written by leading academics this significant volume will appeal to those interested in Tourism and Positive Psychology. How does a vacation from work affect tourists’ health and well- being?